To be able to run an "Upgrade" or "Migration" one has to remove the registration key. From the many tries I have done over the past days if the environment has a SLES12 or SLES15 key valid then it "calls home" and home says "sorry don't know what your on about." If you disable network to stop the call home, then you get "an internal error". So SUSE wise people, is it correct that the key must be removed ? 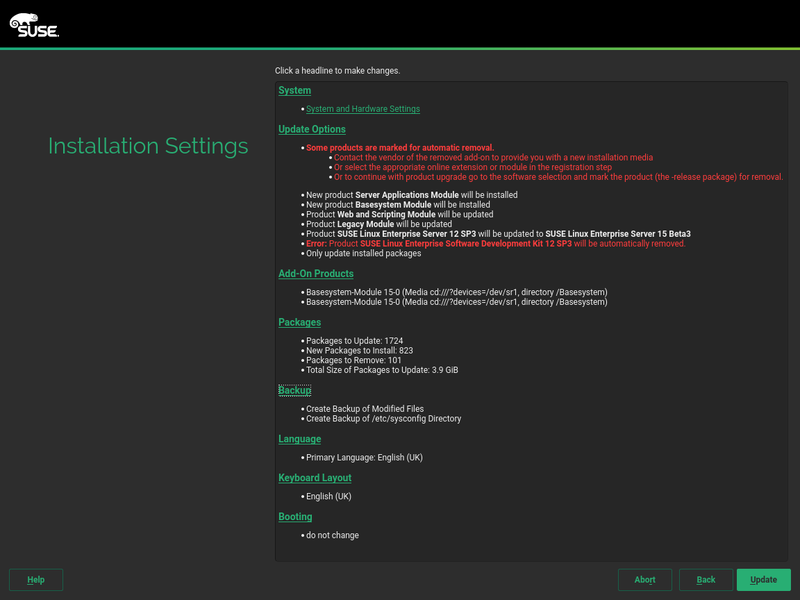 SUSE if you do have a little Docu, in Beta form, it would be interesting to read about YOUR thought on how UPdate/migration could be tried with Beta3 that would be grand.